Gavin Evans was born in London but grew up mainly in Cape Town. After a year studying in Texas, he returned to South Africa to become intensely involved in the anti-apartheid struggle in various capacities. Along the way he studied economic history and law before completing a PhD in political studies. He worked as a journalist for several South African newspapers and as a foreign correspondent for a Rome-based news agency. He returned to London with his wife and first daughter in 1993, initially working as a freelance journalist (for The Guardian, Esquire, Men’s Health and several other publications), broadcaster and author. His eight non-fiction books include two sporting biographies, a memoir, Dancing Shoes is Dead, a coffee table book on boxing history, two books on popular science (Mapreaders & Multitaskers on genes and gender and Black Brain, White Brain on the fallacies of race science) and The Story of Colour, on the culture of colour. 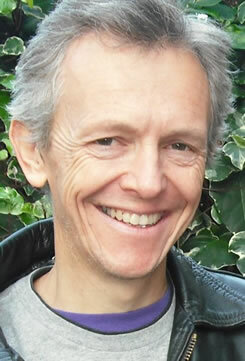 He has also written a commissioned screenplay and has contributed chapters to several other books. Over the past 15 years he has lectured in the Culture and Media department at Birkbeck College, Cardiff University and at the London School of Journalism. He has recently written for The Guardian, The Daily Mirror, The New Internationalist, International Business Times, BBC History Magazine and Die Zeit among others. He broadcasts regularly for the BBC World Service and is currently rated fourth in the UK in his age group in marathon running. I approached The Andrew Lownie Literary Agency on the recommendation of a fellow author, and after being impressed by its strong and varied non-fiction list. 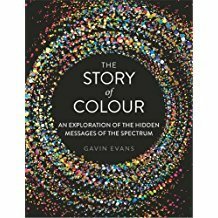 Chinese rights in Gavin Evans’ The Story of Colour. Vietnamese rights in Daniel Tammet’s Born on a Blue Day, Thinking in Numbers, Embracing the Wide Sky and Every Word is a Bird We Teach to Sing. Gavin Evans, the author of Mapreaders and Multitaskers: Men, Women, Nature Nurture, has given a fascinating TED talk on the topic of Feminism, Fatherhood and the Nurturing Instinct. You can watch it here. Gavin Evans has given an interesting interview concerning his new book Mapreaders And Multitaskers. You can listen again to Gavin Evans fascinating interview with Talk Radio on his new book Mapreaders and Mindreaders. 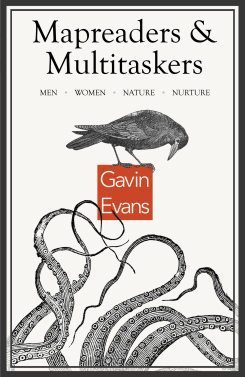 An interesting interview with Gavin Evans on his new book Mapreaders And Multitaskers. Michael O’Mara have commissioned world rights in Gavin Evans’s The Story of Colour: Uncovering the Rainbow’s Hidden Meanings , a social, historical and cultural look at colour and its meaning and significance in different cultures. Gavin Evans’ fascinating new book Black Brain, White Brain has been generating lots of media coverage, including the following. Gavin Evans, the author of Black Brain, White Brain, was interviewed on the Vanessa Feltz show. The full interview is now available online here (it starts at the 2:05.45 mark). Gavin Evans, the author of Black Brain, White Brain, has written an interesting new piece for the New Internationalist. Gavin will be discussing the book on the Vanessa Feltz show on BBC London on Thursday April 2 at 11am. 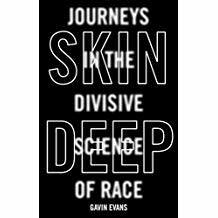 Gavin Evans has written an interesting piece, to support the launch of his fascinating new book debunking the myths of racial science, Black Brain, White Brain. Gavin Evans has a fascinating piece in the current New Internationalist on the subject of race science. Gavin launches his new book Black Brain, White Brain tonight.